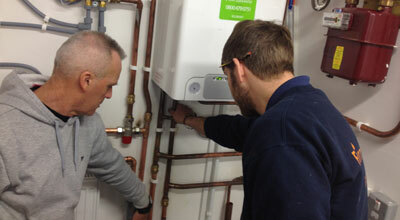 Plumbing And Heating Level 3 (6189-33) is a two year course with attendance at college for 1 day per week for 35 weeks per year known as day release. Blocks delivery will be required due to the learning hours involved and these would need to be used for the Electrical and Gas units. This qualification covers all the essential knowledge and skills needed for a successful career as a fully qualified domestic Plumbing and Heating Gas engineer. If you have a level 2 certificate then you will automatically be enrolled. This is qualification is delivered at our Northampton Centre which is located with strong transport links with Birmingham, Leicester, Milton Keynes, Oxford, Peterborough, Coventry, Corby, Wellingborough, Kettering, Rushden and Daventry. Situated with in a short drive from the M1, M6, A14 and a 10 min walk from the new train station getting to EAS could not be easier. 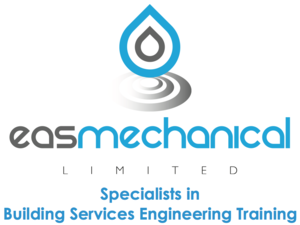 With so many colleges closing down their Gas centre we assume Gas to be the best option for all clients at the moment. You will collect evidence from work and produce a portfolio, to prove you have the skills and then be sent to a partner center to carry out your Gas assessments. The Functional Skills are completed by a portfolio of evidence and an exam (depending on your GCSE grades). If you completed the Level 1 or 2 programme you may not need to complete these at Level 3. The programme is college based and you will be required to attend theory and practical lessons. 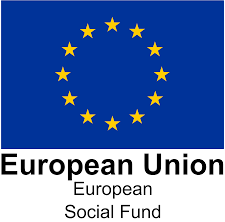 It is expected that most employers will want 18 year olds to access the support after completion of thier level 2 programme, this will be fully funded thorughout the programme. Apprentices aged 19 + The current rules stat the employer must contribute 10% of the funding rate over the two year programme. This is currently £600.00. However due to new trailblazer coming in to affect in 2018 things will change. Please call us for more info or keep a check on the website.